I'm putting together my Succubus and I'm trying to understand why does the model only come with a Glaive and an agonizer? What is the benefit? Is one better against hordes and the other against monsters? Why wouldn't you take say a glaive and a blast pistol instead? I think the only reason of putting an agoniser on a Succubus is if you plan on using the Triptych Whip relic. Otherwise I prefer to use a blast pistol, it greatly helps her in dealing with HQs and armoured threats. 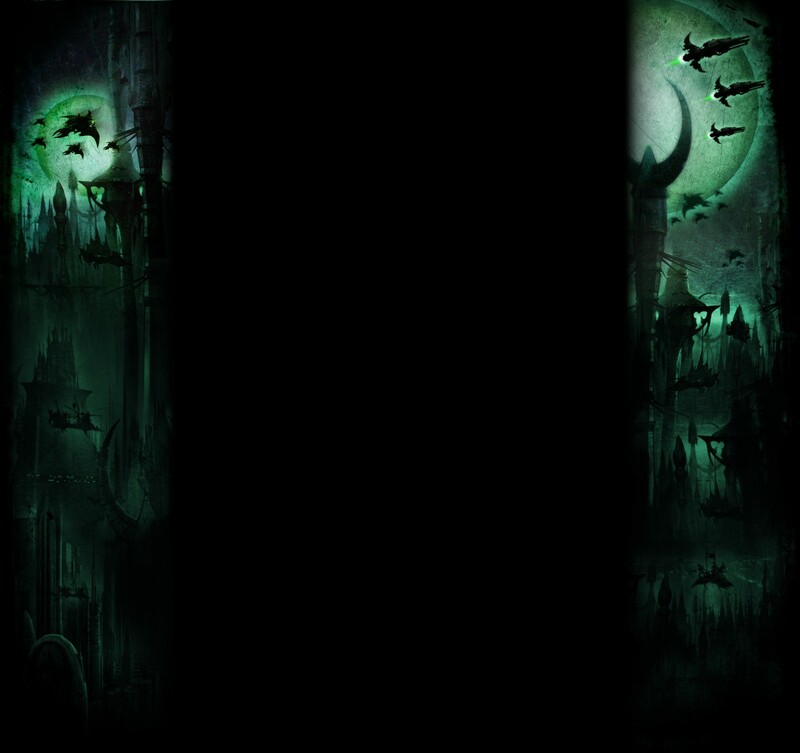 I think it's because someone on the GW design team thought it looked cool. Is the Succubus compatible with arms from other DE models? Anyway, yeah, you're usually better off with the Glaive and pistol. The only exception would be if you planned to take the Agoniser relic. But quite why the Succubus can't swap out her Glaive for a pistol is anyone's guess. Yeah, they're fine on her. Pretty much all the Kabal and Cult plastic models are easy to kitbash with each other except for the Archon because of his awkward posing. Arms are definetly compatible, I gave my succubus a splinter pistol from the wych set. There's no point wasting pts on an agonizer unless you want to take the whip relic, glaive is just usually better. 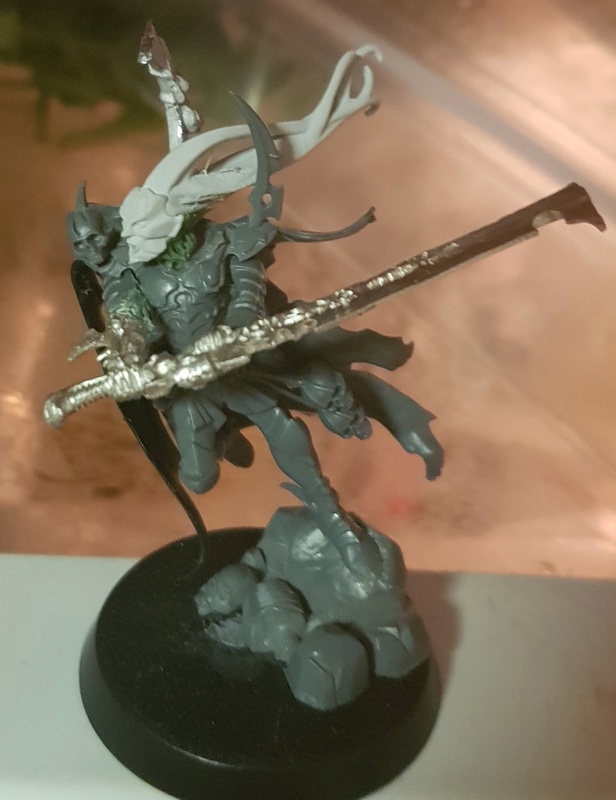 i made three bashes a few weeks ago (have yet to paint them) the worst part is the flesh cloak, its very cool how it wraps around the model, but makes it next to impossible to pose other ways. if i had to do it over i would have just made one out of green stuff instead. Much prefer the 5th ed resin Archon. The kit came with 2 helmet options, both of which are far superior to the potato we get with the 7th ed plastic Archon. Incidentally, it seems GW agree as well - because both of the recent DE books have featured the 5th edition Archon. Which would be great if the were still making the things. yeah I'm still rocking the 5th edition metal archon with glee. Had to order another archon cuz I only own one (need two for a batallion). I'm definitely going to try and model him up different.... actually thinking about kitbashing a Lhamaean. 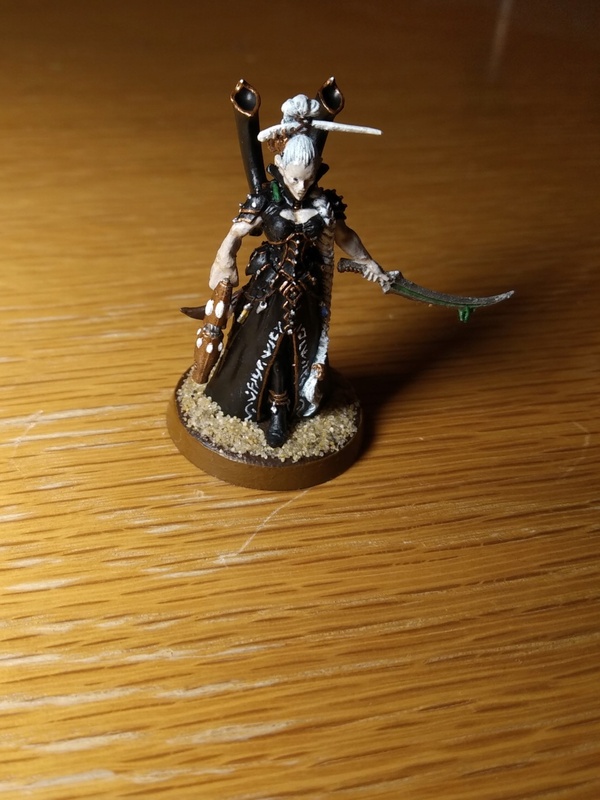 Definitely a cool looking model...can have a female archon! Yet the 5th ed codex seemed to feature the plastic Archon’s likeness on the front cover. Though if the plastic Archon were chillaxing in a hover-throne and laughing at the filthy peons prostrated before him, I doubt any of us would have as much of a problem with the model that we do. @Aschen, not to tell you how to model your army or anything, but if you go down the Lhamaen route, be wary that it is also the path of Failcast. Don't forget that tri whip id +3 attack afonizer plus CoS +1 more plus a +1 attack drug plus Hyperstimm Backlash +blood dancer is 6 2/3 wounds against non-vehicles at AP-2. If you NEED to take out a vehicle (that should not be plan A) Poison is nearly useless. The glave could save your life....or strip wounds off a tank before you die. In regards to putting a pistol on her from the wych set, how many blast pistols come in the wych box? It does seem kinda strange you have to take the Glaive unless you take wych weapons, but it's always useful to have in a pinch as others have mentioned. I think just 1, which is 1 more than any Wych squad needs. On a Succubutt though, that 2+ to hit with pistols and the fact she's perpetually in combat with things far more expensive than her means it's usually worth its points. Magnetize. Glaive, Shardnet, Whip. I have one of each, but if its your first, Magnets. Dont use 2 melee weapons IMO, get a pistol on it. As for why? B.c they thought it was cool and fluffy most likely. Yeah I always run mine with a blast pistol, because why would you not take a 5 point anti-tank pistol? Granted, it's only *worth* 5pts, but it nevertheless costs twice that amount. Ah yes, this pistol has an identical statline to the Melta pistols and Fusion pistols used by other races, its almost a direct equivalent! Let's give it the same points cost. Wait... it lacks the Melta rule! Let us increase the cost by three points! There's not doubt that the blast pistol is overpriced, but I have to admit it's been real handy in many cases to have a weapon my archon or succubus can use to blast a character in the face. Oh, it's great for what it does! It's just frustrating that we pay 142% of a Fusion Pistol to lose a utility. I don't know if any of you play Kill team Commanders, but the Succubus can only have a glaive and Agonizer. There is no option for a pistol. While I generally find points for the pistol, I would say that both glaive+impaler and shardnet/impaler are worth considering in certain circumstances. Glaive+impaler starts to look good on a Cursed Blade Succubus since she's str 4. If you're running jetbikes, or beasts, you likely won't use the +1 str drug, so it works well on her too. The versatility of str 7, ap -3, D 1 or str 5, ap -1, D 2 is actually quite nice. Especially in the early turns when she's swinging at -1 with glaive. The shardnet/impaler is even more niche, but it's worth considering if you don't think of your succubus as a traditional HQ. More of a disruption unit that would pile into combats and hold units in place that would rather get out. Maybe you've got a mob of grotesques laying into some terminators and they're really not digging the mortal wounds cutting through their storm shields. She can hit the edge of the unit, where they can direct the fewest attacks her way and then hold them with the net where your grotesques can finish them off. Again, pistols are the obvious choice, but it is worth reflecting on once you've got the rest of your list set. Maybe one more lance shot isn't the thing you need.